For those of you who don’t know – I was at my gran’s cremation this Monday. 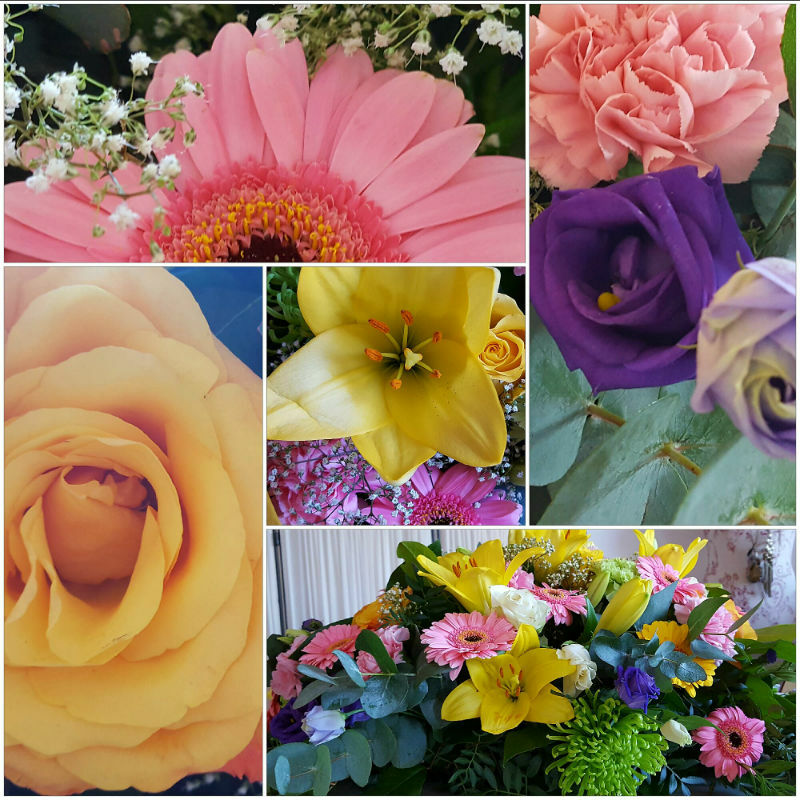 After the service, the Funeral Director approached me, since I was the one who had made the arrangements, and he asked me what to do with the flowers. The crematorium had a patio for remembrance where we could lay them to rest but some guests suggested I take them away. So that’s what I did. I’ve been feeling slightly guilty about that ever since: These were bought for my gran, to honour her, and to leave them to rest beside her. But today is all about self-compassion. So I am going to let this guilt go. Instead, I am going to enjoy the sight and smell of the flowers in my small flat, which has now become a temporary florist shop. Here’s to making something beautiful out of something sad. The flowers go nice in our house too, thanks Cathy!